Homework activities will be added to the website on a weekly basis, usually by a Thursday evening (see the dated posts below) and should be completed by the following Tuesday. Every week, we expect the children to read regularly. Ideally, all children will read every day but this does not need to be in the same way each time. Varying the way reading happens can help to keep it interesting. For all ages of children, it is still valuable to sometimes have a story read to them as they can experience a more proficient reader's use of expression, intonation and pace. Listening to your child reading is also important, as it provides opportunity to consolidate the reading of familiar words, whilst also decoding new words and sentence structures with adult support. Discussing reading is essential as this supports the development of the child's comprehension skills, whilst also helping them to start formulating their own opinions about what they read. Now that we are back in school, there are lots of things for us to do to prepare for the rest of the school year. 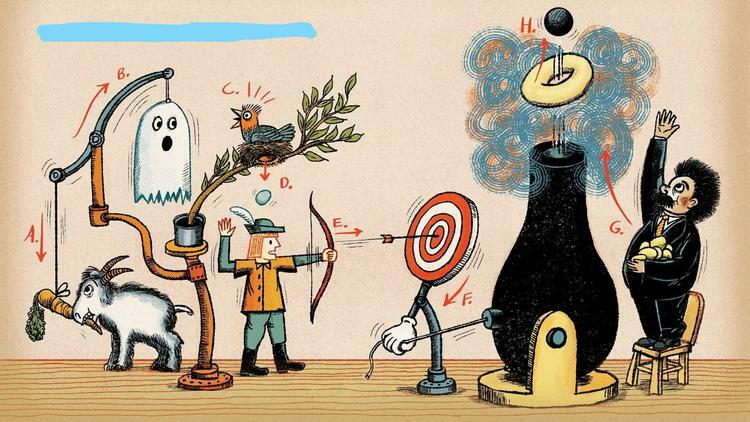 Two of these things are your homework for this week. 1. Now that you have received your fresh, crisp new homework book, let's try to keep it that way! I would like you to cover the outside of your homework book so that it is personal to you and protected. You could use wrapping paper, protective plastic or off-cuts of wallpaper. You can also decorate the front cover but you must include: Your name, Year 4 and Homework clearly on the front cover. 2. Complete the 'First 100 High Frequency Words' game on Spelling Shed at least 4 times over the next week. This will help me to see where you are already confident with spelling and where I can help you to improve even more! Remember - your homework must be completed by next Tuesday - leave your book in the homework box and tick your name on the checklist. GREAT HOMEWORK BOOK COVERS FROM LAST WEEK - THANK YOU!! Our Wonder Wall is looking a little bare. I am hoping that it will soon be filled with fascinating, astounding and simply weird facts about the wonderful world we live in. 1. Find out one fascinating fact about the Arctic - it might be linked to weather, landscape, wildlife or explorers who have ventured out on to the ice. 2. Find out another fabulous fact about another country of your choice - it might be a strange creature that lives there, unusual climate facts or an interesting fact about a different culture. 3. Finally, tell me something weird or wonderful about Wales. I want to be so surprised by your Welsh fact that you blow my socks off!! I will be wearing extra strong socks when I'm doing my marking, just in case!! 4. Write these facts down clearly in your homework book and remember to include the short date, just like you would in school. (Please note...these are not my actual socks or feet!!! 27.09.18 Design some Tiny Person Transport! 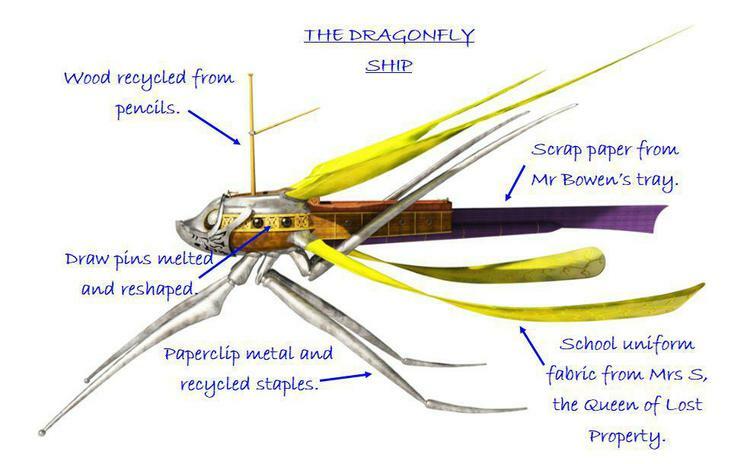 This week, we found this design diagram for a type of Tiny Person transport - the Dragonfly ship. We assumed that they designed this flying machine to look similar to a dragonfly, so that they could travel around without us paying too much attention to them. - Look like something familiar to us, so we won't notice them going about their business. - Use materials, equipment and resources that they could easily find around the school. - Include labels explaining what materials you would suggest they use. 04/10/18 Where did it come from? Last week, we were finding out about 'food miles' and we calculated how far some of the common pizza ingredients might have travelled, before they landed on our plates. We found that our Flying Pizza could have travelled thousands of miles! This week, I would like you to have a look through your kitchen cupboards or fridge to see if you can find where the different items of food have come from. Check the backs of packets and tins - you might find it there and make sure your parents are happy with you looking through the cupboards. Don't try to tell them that Mr Bowen told you to eat any of it, you're just LOOKING! If you are up for an extra challenge, try to find out how far each location is from the UK or Raglan! 11/10/18 Explain what you think! Next week, we will be starting some work on shape in our Maths lessons. To help warm your brains up for this, I am going to ask you some questions where you need to explain your choices or opinions. There are 3 questions here. For the first two, you need to write a sentence or two which will explain which of the shapes, in each set of 3, you think is the odd one out. 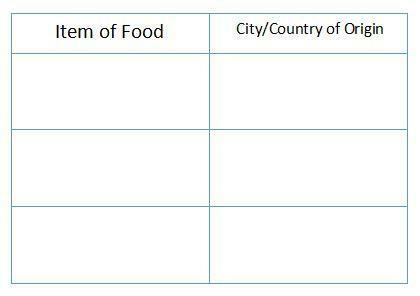 In the final question, there are two statements. You need to write a sentence or two explaining whether you agree or disagree AND your reasons why. 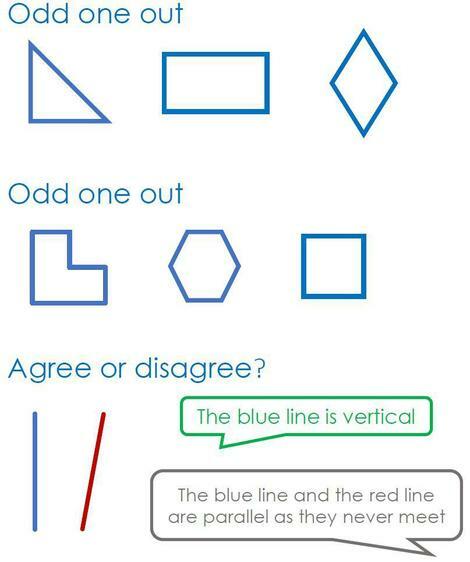 It is absolutely fine to discuss this with someone at home, just like we would in class, as this might help you to consider a different point of view. Abergavenny and District Round Table are once again holding their Fireworks Display and this year they are celebrating the 50th year of the event. They are inviting local primary schools to enter a poster competition to mark the event. The aim is for you to produce a poster to be used in their advertising campaign. -The poster entry must be on the official entry form (you have a copy to take home but I have also put an electronic copy here!). - Your poster must feature a fireworks theme and should include important events from the past 50 years. - You must include your full name, age and Raglan CiW VC Primary School. - The posters will be collected by the organisers on Tuesday 23rd October. - There will be a £50.00 donation to the school of the winner of each category. - A free child’s ticket for all children in the winner’s class. - A family ticket for the winner of each category. along with a selection of other entries. Early next half term, the whole school will be involved in an Enterprise Week. We will have to come up with some products to make, pitch an idea to Mrs Rowlands to hopefully get some money to buy the resources and then make/sell the products at a pop-up market. We must make enough money to pay Mrs Rowlands back and then anything else we earn can be spent by us on our classroom and resources. Your half term homework challenge is to make some example paper craft products. 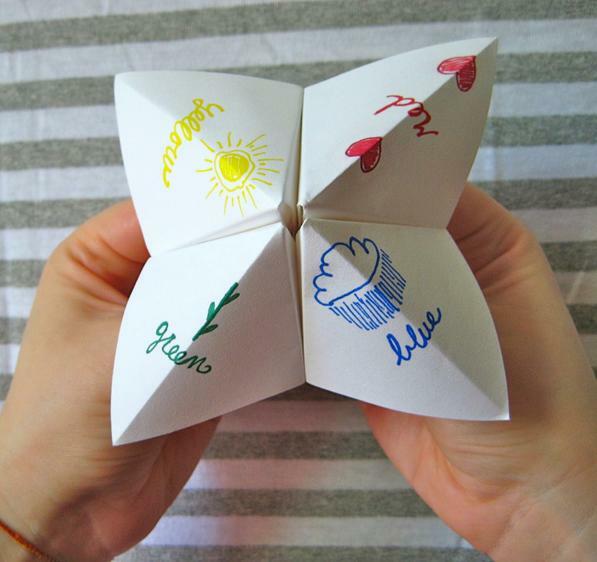 You might make an origami model, use your knowledge of nets to design a gift box, design a paper/card picture frame, create decorative bookmarks or anything else you can imagine. You only need to make one or two items, so we can look at all your ideas and then choose those that we think might sell well so that we can make more in teams. 08/11/18 Enterprise Week Preparation - Let's get our message across! Well done to everyone who brought in paper-craft examples for our Enterprise Week. We have now settled upon a number of different products to make including Christmas decorations, book marks, wrapping paper, gift tag and lots more - all of which will be recyclable, unlike much of the wrapping etc that you can find in shops. As we have decided to theme our Enterprise project around 'Give the planet a Christmas present - recycle', I would like you to design your own Christmas themed recycling logo that we could feature on our posters and advertising. 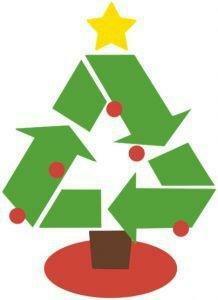 This is one of the examples we saw this week, which includes the standard recycling logo of the 3 arrows forming a triangle to form a Christmas tree. Draw your design in your homework book - remember you can use ideas that you have seen on packaging or online but it must be your own work, not just a print-out. 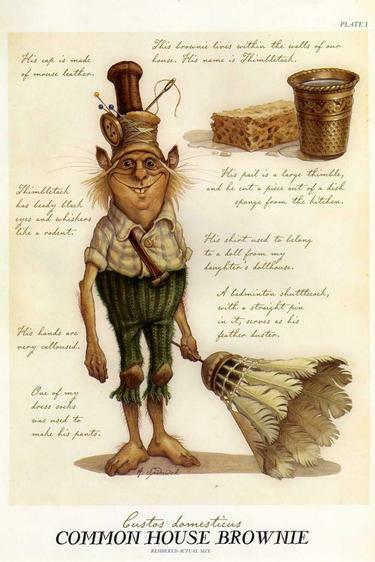 For your homework task this week, you need to start by picking a favourite book character. This could be from a traditional tale, fairy story or a book you have read. You then need to draw a free-hand body outline in your homework book, similar to the one below. 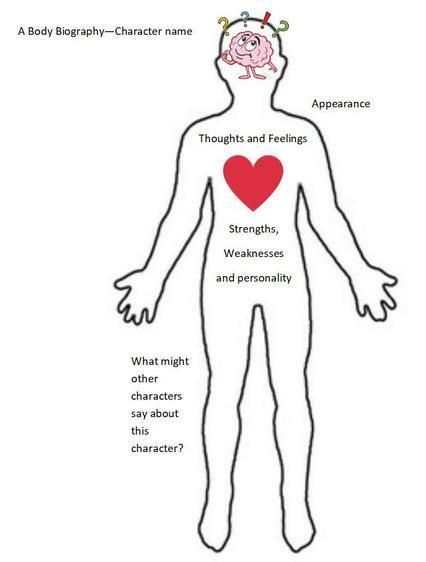 Inside the outline of the character you need to write or draw what their personality, thoughts and feelings are - based on what you know about the character and how they behave in the story. Outside the outline of the character you need to describe the character's appearance - what do they wear, how do they move, what are their usual expressions. Up for an extra housepoint? Include the exact words used in the story about the character, using quotation marks AND/OR give the number of the page that you found the information about the character on. Parents - the body biography is a technique we use to develop comprehension skills through the children retrieving information from a text. You can use this at any point if you wish to do so. UP FOR ANY EXTRA CHALLENGE? Next week, we are going to be lucky enough to have a visit from a professional author, Nicola Davies, who has written many fiction and non-fiction books for children. She will be visiting us on Wednesday 5th Dec 2018. In preparation for Nicola's visit, I would like you to think of 5 questions that you might like to ask her - writing these in your homework book, ready for her visit. As we are nearing the end of the Autumn Term, I am already thinking about the exciting themes and topics for the Spring Term. One of the topics we will be studying is Ancient Egypt. It would be really helpful if you could share your ideas with me about the different aspects of Ancient Egypt which fascinate you. Do you want to find out about mummification? Shall we try to unlock the secret messages hidden in hieroglyphics? Would you like to follow in the footsteps of other great explorers to investigate the great pyramids? You will have an outline of a Pharaohs Death Mask (there is a copy below if you haven't got one); I would like you to fill this with ideas for our learning activities and the topics you would like to research. Please don't glue this into your homework book. 10/01/19 Maths Warm-ups and Workouts! As we take on more complex challenges in Maths, it is important that everyone can quickly and confidently use their table facts. At the start of a New Year, lots of adults find themselves heading off of to the gym to improve their health and fitness. We are going to try the same with our multiplication tables! Each week, you will be given a booklet of warm-ups and workouts to take home, so that you can intensively practise an individual set of multiplication facts. Try to complete all of these over the week - a few minutes a day will really help! 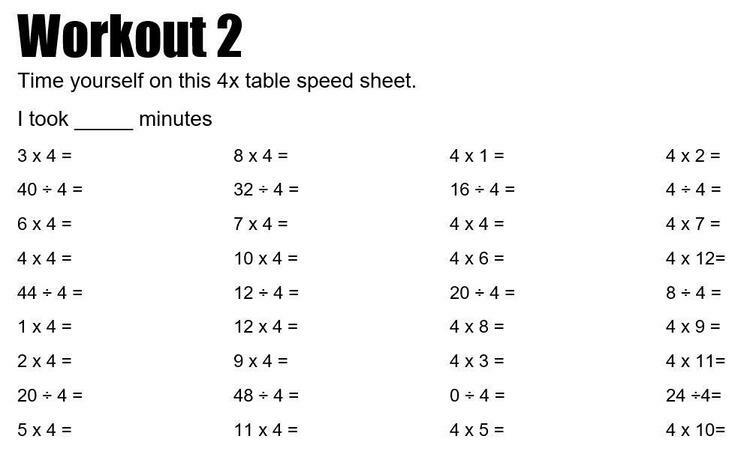 You are only in competition with yourself - you want to try to improve the speed at which you can recall these multiplication table facts and this become easier with every practise session. Then, every Thursday, we will have a Workout session in school where we will try to answer 100 questions from that multiplication table of the week, in 15 minutes. Make sure you bring your booklet back on a Thursday and then you will be able to see how you have improved. Just like gym members often have a fitness goal to motivate them, we are going to have a multiplication goal! After every Weekly Workout session in school, I will collect in each person's score (don't worry - it will only be you and me who will see this!) and I will keep a weekly total. If, after 5 weeks, our weekly scores combined are over 3500 well will earn a very special, whole class reward for all your hard work! As I was out of school unexpectedly on Friday, this week's homework will be given out on Monday and can be returned on Thursday. Amazing whole class scores already...our target is 3500 as a class and in the first week alone you scored 1788! 31/01/19 8x table homework challenge - if you didn't pick up a paper copy, you can find it here! Here is a copy of the poem that Year 4 will be using for this year's poetry recital, as part of our whole school Eisteddfod. Next week we will be completing story writing, handwriting, art, music and poetry activities to prepare for Eisteddfod on Friday. Now is your chance to contribute a home entry to support your House at Eisteddfod (every entry earns 10 House Points!). We have chosen to link our Home Entries to the National and Abergavenny Eisteddfod, so we can also enter your hard work into the local and national events, as well as our own celebrations. Model Making - On the theme 'Bwrlwm' or Hustle and Bustle. The model must be no bigger than 750mm x 750mm x 750mm and weigh less than 10kg. Photography - Again, on the Hustle and Bustle theme, take a suitable photograph. 7” x 5” or 8” by 6”. Unmounted – black and white, or colour. This year, the school is again working in participation with the Raglan History Society to celebrate the history of our village and local area through the Horatia Durant History Award. We are asking the children to find out about our local history and then present what they learn in a creative and interesting way. It might be creating a model of an important building in the local area, preparing a slideshow presentation of images to give a guided tour of a particular building/locality or producing a written project about a famous local figure. The choice is yours...be as creative as you can and bring the result into school after half term. Good Luck! Some of you have already completed your History projects and it has been great to see the many different ways that you have chosen to present your research. You still have until next Monday (11th March) to complete your local history project and bring it in to school. If you have already completed this, I would like to you make sure you log in to Spelling Shed over the next few days, trying the 'Spring Term Theme Spellings' list, which will include lots of keywords that we will need for our Humanities, Science and Technology and Expressive Arts activities over the next half term. You can also explore any of the other lists on the 'more lists' tab - even if you think the words might be a bit tricky for you...give it a go! I was really pleased to see that, when you completed this week's 'Cold Task' writing, your story skills are continuing to improve. Your use of descriptive language is really impressive! Find and copy 10 different sentences, from books at home, where commas have been used. If you think you can explain why the commas have been used in each sentence, then you can make a note of that too. Make sure you bring your homework in on time for Tuesday, as we will be using your homework comma hunt findings for our lesson. Now that we have had a chance to talk about our Summer Term theme, 'Ocean Odyssey', I would like to find out more about your individual knowledge and interests. - Fill the lobster's claws with ideas and topics you are personally interested in learning more about. - Bring it back in on Tuesday and add your lobster to our pod of learning lobsters! We will soon be starting to explore explanation writing. My challenge to you this week is to explain how a machine works. However, it is a strange machine and I don't know what this machine is even meant to do! You need to look closely at the picture of the machine and then explain how it works and what it does. It might help to have a look at the letters on the diagram...they might help you to see the order in which different parts of the machine work. You should have now all received your invite to join our island community on Night Glass Island. Your challenge, for the next week and over Easter, is to prepare a short presentation (3 mins) sharing why you would be an asset to the island community. Think about the skills, talents and interests that you can offer. Perhaps you also have experiences from the past which would be helpful too. We will listen to everyone giving their presentation during the first week back after Easter. If you are smart with your time, you could prepare your presentation before the Easter holidays and they have a homework free break. I look forward to hearing why you would be a great addition to our island!